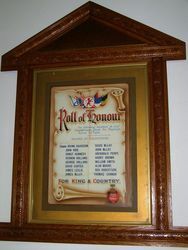 An framed printed honour roll commemorates past and present members of the church and Sunday School who enlisted in World War One. 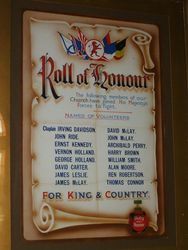 The original roll was unveiled in the church on the 24th June 1917. On Sunday afternoon 24th June. the Rev. 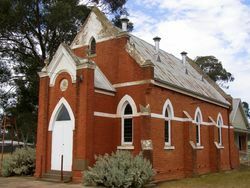 Mr. Brownlie unveiled an honor roll in the Presbyterian Church, Marong, bearing the names of past and present members of the church and Sunday school, who have enlisted. The following are the names and the order in which they appear on the honor roll. 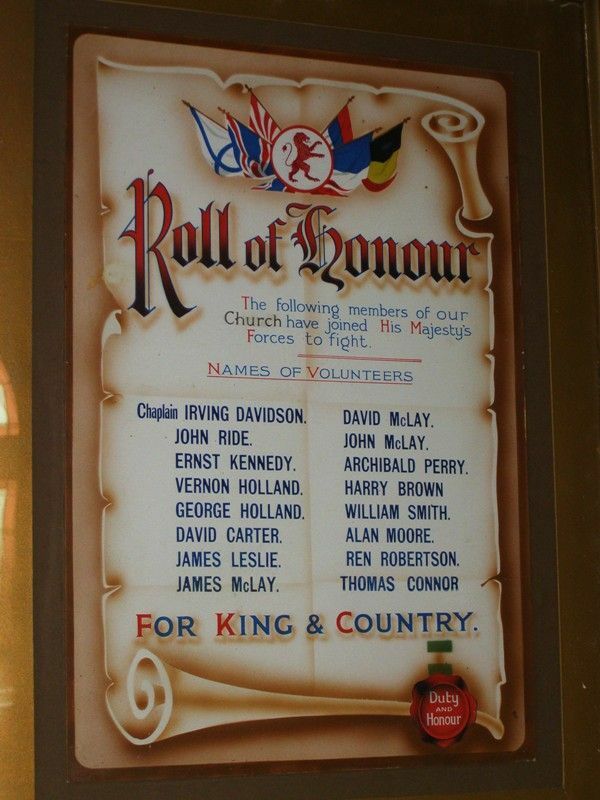 Three of these have paid the supreme sacrifice, and two have been wounded:—Chaplain Irving Davidson, John Ride, Ernest Kennedy, Vernon Holland, George Holland, David Carter, James Leslie, James McLay, David McLay, Archibald Perry, Harry Brown, William Smith, Alan Moore. Ren Robertson. Bendigo Advertiser (Vic), 10 July 1917. Note: This roll appears to be a replica roll which may have been produced at a later date.